Body Mass Index: What is it? You’ve likely heard a lot about BMI, or body mass index, in your journey to losing weight. So what is it exactly? 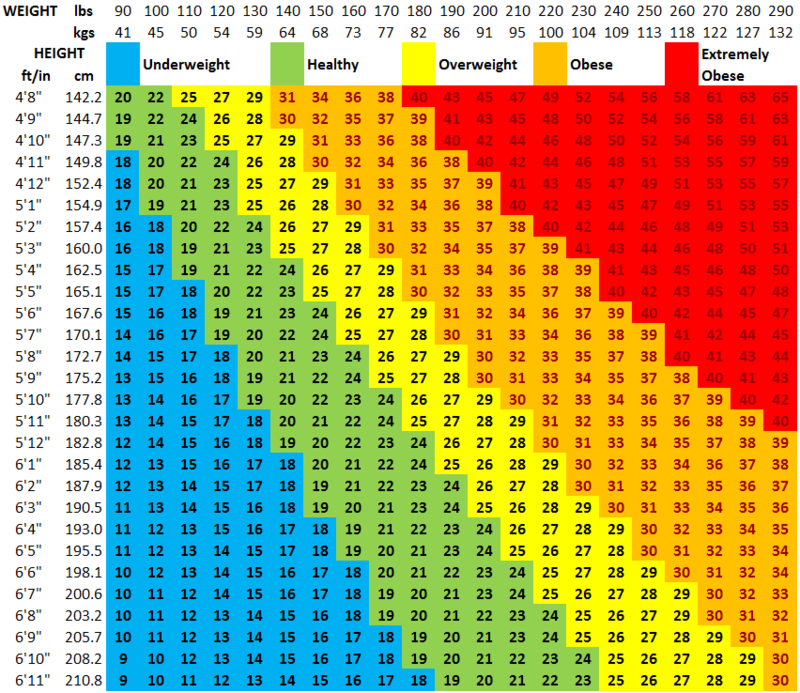 Basically, BMI is your weight in kilograms divided by the square of your height in meters. According to the CDC, a high BMI can indicate high body fatness, and is a commonly used method of screening for weight category, such as underweight, normal or healthy weight, overweight, and obese. BMI is an inexpensive, easy to use calculation that clinicians rely on for the general public, since it only requires height and weight measurements. Used alone, BMI isn’t a diagnostic indicator for health risk; this is why your healthcare provider should perform additional assessments to determine this, such as skinfold thickness measurements, evaluations of diet, physical activity, and family history. According to the American Heart Association, a BMI between 18.5 and 25 kg/m² indicates a normal weight, a BMI of less than 18.5 kg/m² indicates underweight, a BMI between 25 kg/m² and 29.9 kg/m² indicates overweight, and a BMI of 30 kg/m² or higher indicates obesity. More and more health professionals are turning to BMI measurements to get a snapshot of their patient’s overall health, although, again, it is only one component used in the overall assessment. BMI below 18.5: You are considered underweight, which carries with it its own set of health risks, such as inhibited growth and development in kids and teens, fragile bones, anemia, fertility problems and weakened immune system. BMI between 18.5 and 24.9: This is considered normal, leading to a reduction in risk for serious health conditions. BMI above 25: Considered overweight and obese at a 30 or higher BMI, which increases the risk of cardiovascular disease, diabetes and other conditions. Lifestyle changes, healthy eating and a regular fitness regimen can improve health. More than two-thirds of adults considered overweight or obese, more than one-third are obese, and more than 1 in 20 are extremely obese. The CDC points out that obesity can lead to adverse health conditions such as heart disease, stroke, type 2 diabetes and certain types of cancer. Being overweight makes the heart work harder, raising blood pressure and blood cholesterol while lowering your HDL, or good, cholesterol levels. Lowered risk of health conditions such as type 2 diabetes, heart disease and certain cancers. If you are looking to reduce your BMI, Houston Weight Loss Centers is the solution for you. Through our weight loss programs, counseling, low-calorie diets, vitamins and appetite suppressant programs, our doctors can assist you in safely reducing your BMI. You will receive a complete physical exam and medical history overview to determine your exact BMI and what improvements can be done to result in a healthier lifestyle. 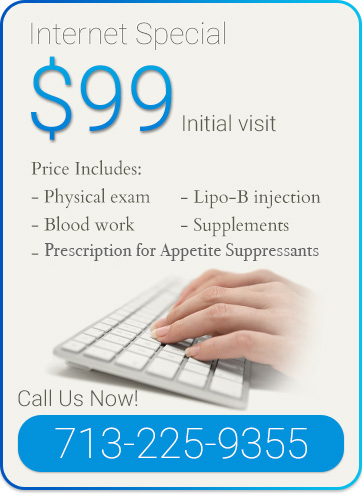 Call us today or schedule your consultation online to book your $99 initial visit. We have two convenient locations in Katy and Houston, TX, with professionals dedicated to helping you safely and effectively achieve weight loss. It’s time you were happy with the reflection looking back at you in the mirror. Come to us to learn more about BMI.